The other day, while using my phone and about to check-in somewhere, I noticed, following my turning on of “Location” and having agreed to the “Location Consent” notification, a new screen popped up requesting my consent. 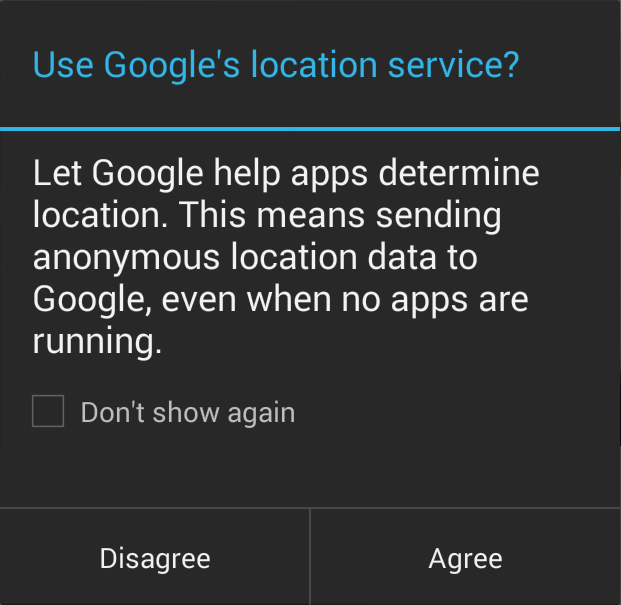 Of course, I have gotten used to this in the last couple of months, with Android’s KitKat having not only replaced the “GPS” toggle option with “Location”, but having to agree to two separate consent screens before being able to use the service. However, this second screen looked different – there was an option to never have to see it again! Now, if they could only do that for the first “Location consent” screen, then us users wouldn’t have to press twice to get our location services…. 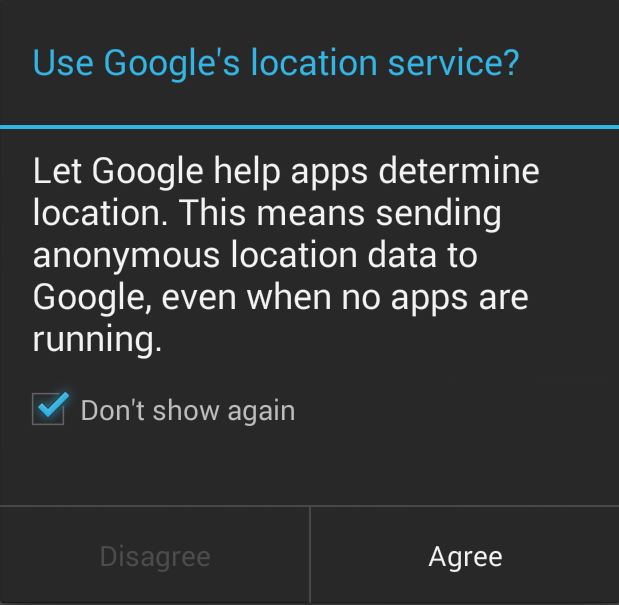 Allow Google’s location service to collect anonymous data. Some data may be stored on your device. Collection may occur even when no apps are running.